Harvey Norman is holding a clearance sale on a number of its games, plenty of which are worth grabbing at these exceptional prices. 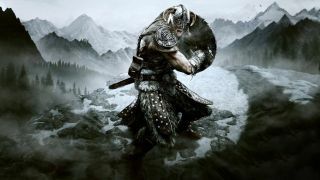 You can net yourself Skyrim:Special Edition for PS4 or on Xbox One for only $30, which is really quite a steal for such a continually popular game, and this edition comes with all the Skyrim DLC as well as a complete graphics overhaul. Watch Dogs 2 on PS4 and Xbox One is only $20 if you're keen on some edgy hacking and cyber-sneaking, and Bethesda's sequel to its excellent steam-punk Dishonored title, Dishonored 2 (PS4) can be nabbed for the same awesome price. Keen on a little more crime and a bit more in the way of fisticuffs? Then check out Mafia 3 on Xbox One or PS4 for $20. Maybe you're feeling a little superhuman, then Injustice 2 is your go – just $30 on Xbox One and on PS4. If you're looking for great prices on a console, check out our list of the best Australian Xbox One deals or the best Australian PS4 deals.